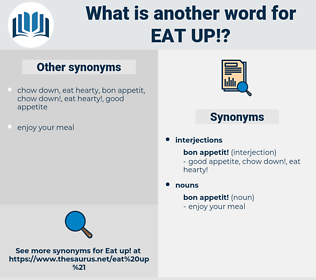 What is another word for eat up? 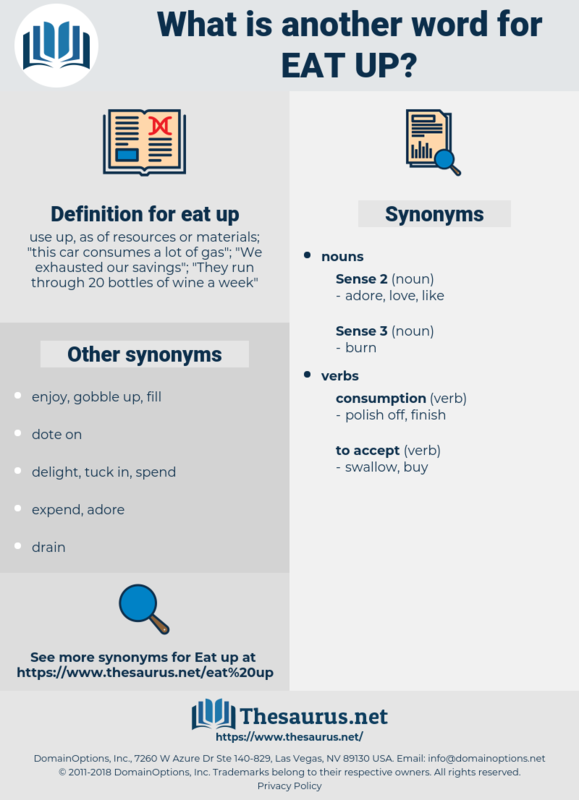 use up, as of resources or materials; " this car consumes a lot of gas"; " We exhausted our savings"; " They run through 20 bottles of wine a week"
can't get enough of something. Edith Piaf, edp, edify, eau de vie, ethiopia. consume, demolish, put away, tuck away, go through, down, devour, tuck in.